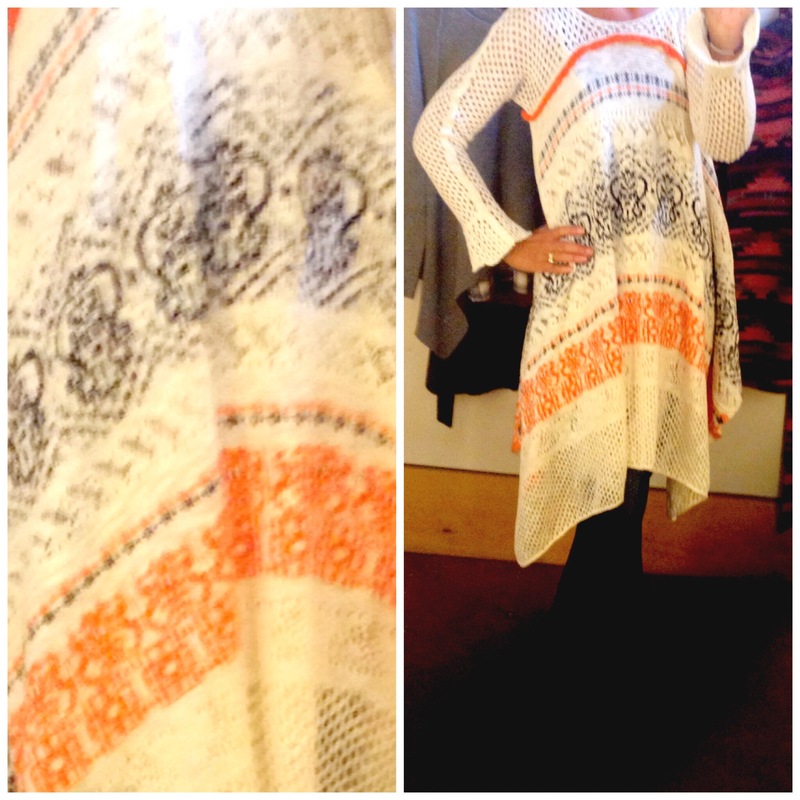 I have been a fan of the Anthropologie store since they opened their doors in 1992. 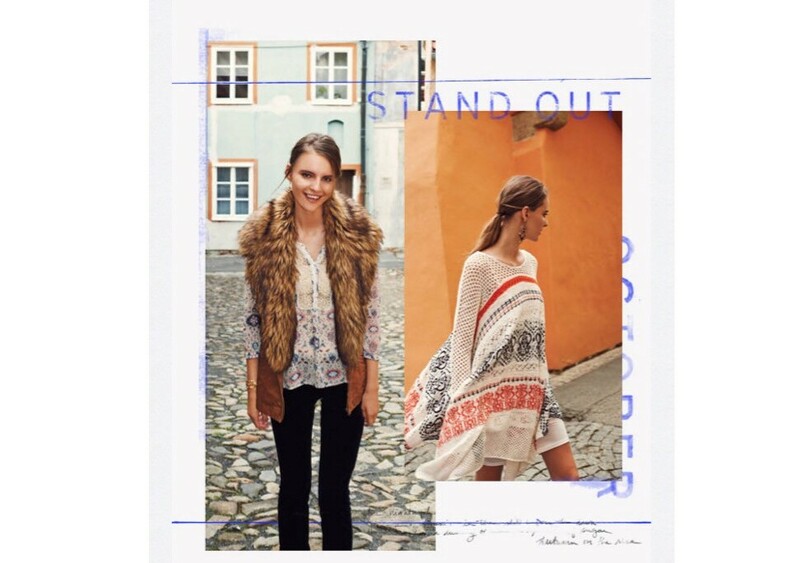 I love the boutiquey boho vibe, friendly sales people and chic ambience. I love everything about the place including how delicious it smells every time I set foot in the store. Many of my friends say they find it confusing to shop here. I agree, the place can be overwhelming. Overwhelming in a good way full of so many great choices and unique pieces! 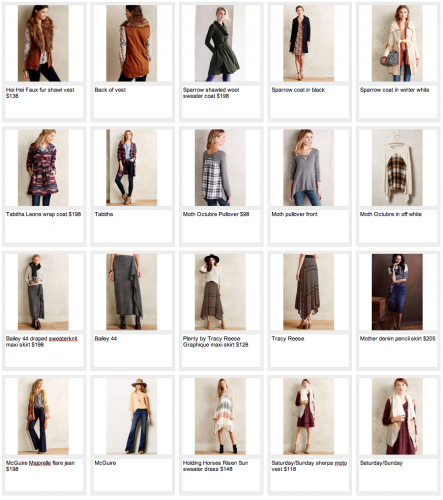 Before I head into Anthropologie, I go online and scan the selection making a mental or written list of a few things I’m looking for. 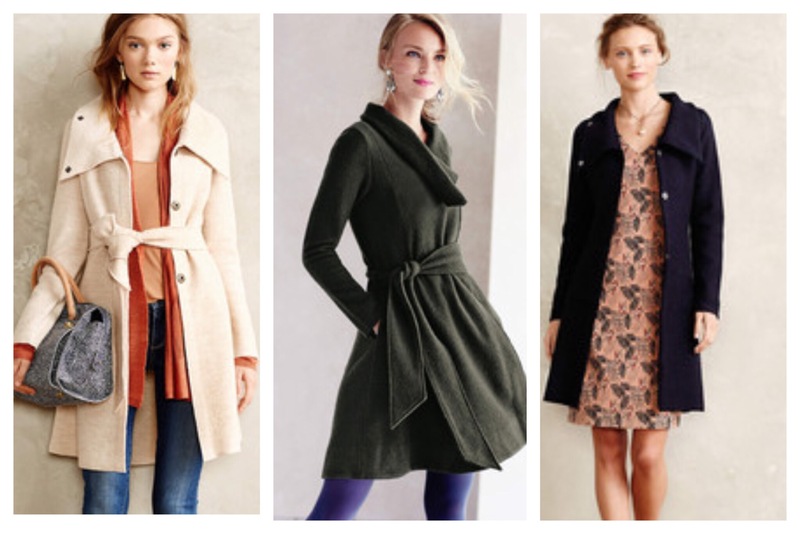 I think they do a fantastic job with their sweaters, unique skirt selection, fun dresses, and denim. I wish they carried more shoes in the stores, as I think their shoe selection is pretty fantastic! Unfortunately, I have a hard time getting my sizes right online. If you’re lucky enough to be able to shop the online shoe selection, you are one lucky gal. They carry a wonderful selection of scarves and fun unique handbags as well. After receiving the October catalog in the mail, I decided it was time for a trip out to my favorite local store. The store looked fabulous as always and there was a sea of tempting items to try on. The first thing I noticed when I walked in the store was a rack of my favorite pajama bottoms! I replace a pair from the prior year, every winter. At $49.50, these are my favorite PJ bottoms. So comfortable and they last me the entire year. 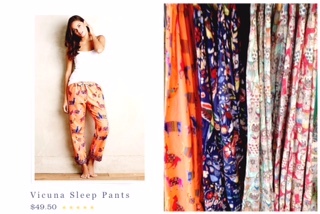 Vicuna Sleep Pants by Eloise $49.50. I love all the fun patterns, they make me happy! I did a quick look-around and grabbed a couple of things to try on. 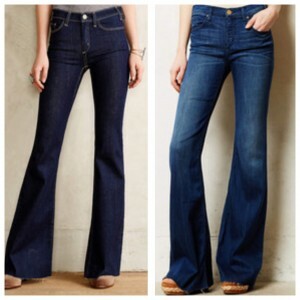 A few times that grabbed my eye on my most recent trip to Anthropologie. 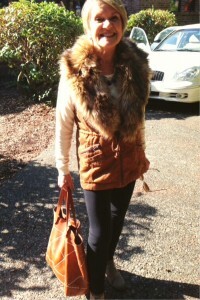 Fur vest by by Hei Hei HERE $138. 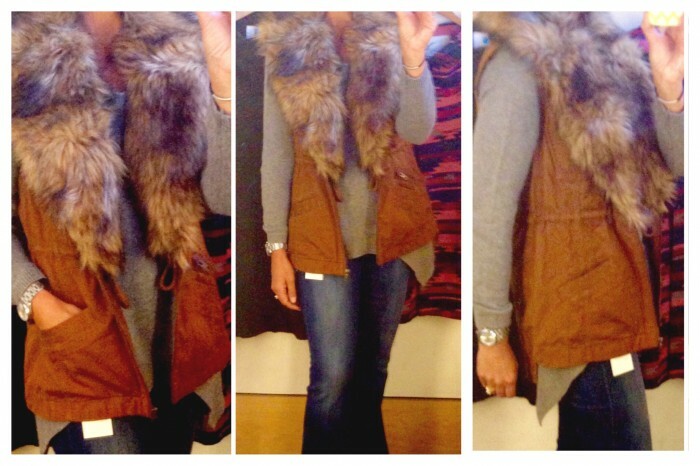 I love this vest! 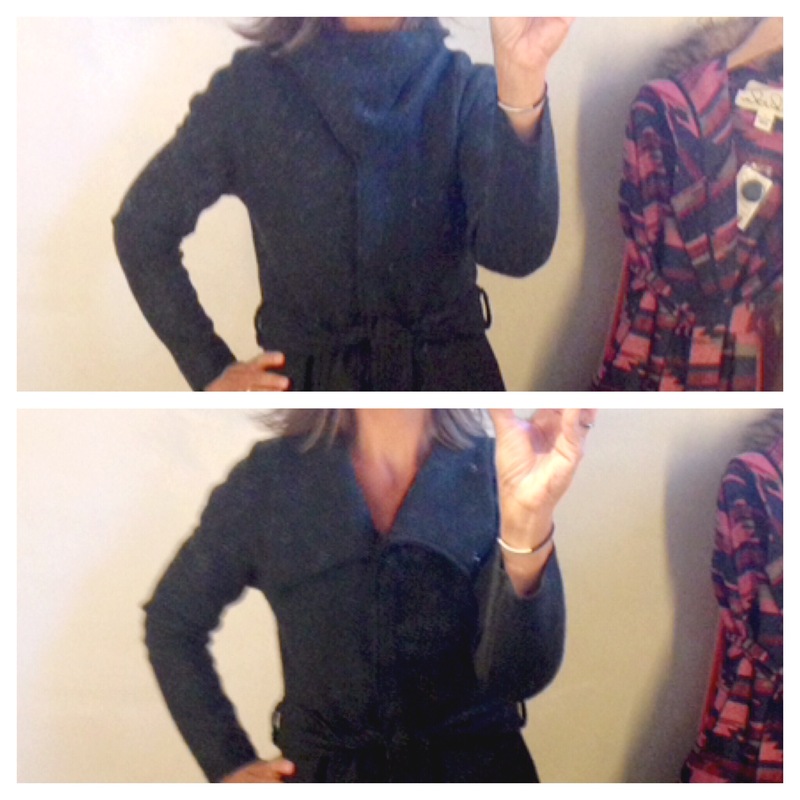 The fit was spot on and the collar is removable! It is cute zipped, cinched, with or without the collar. 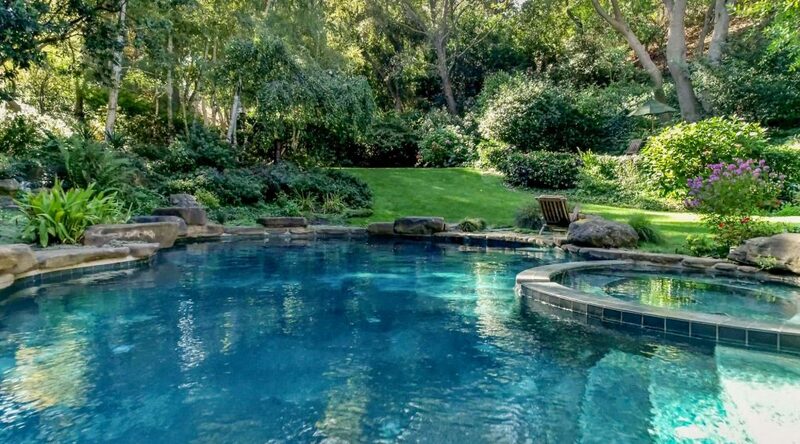 Great for warm weather areas where there is a morning and evening chill. This would be cute with denim over tees, a lightweight sweater or shirt. Ran true to size. 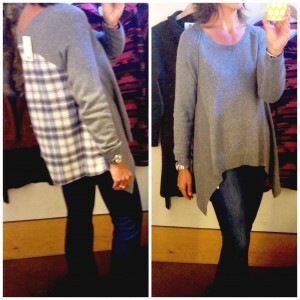 While I was at Anthropologie, unbeknownst to me my Mom was shopping at the Seattle store the same day. She texted this photo to me later in the day. I could not believe she had already picked up this item that is on my wish list! My Mom looking super cute in her new vest. She texted me later in the week and told me she had worn it everyday with jeans and leggings! McGuire Majorelle Flare Jeans, $196.00 HERE. McGuire is a new brand for me. This jean is sooo comfortable, not sure where it has been all my life. Fit was true to size. 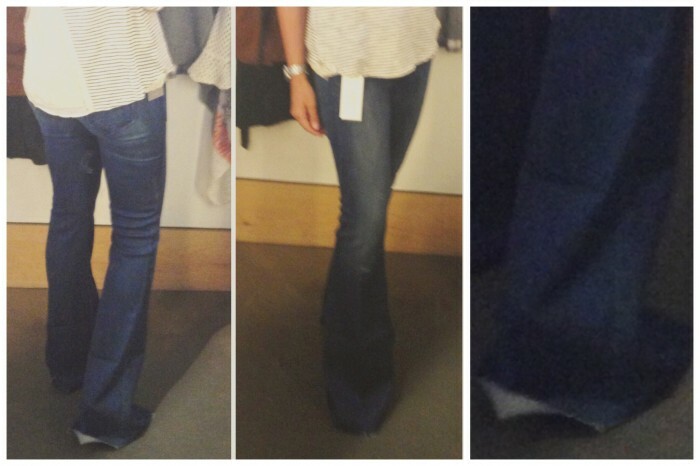 With a slightly higher waist band and a very stretchy high quality denim, I LOVED this jean. There was no gape when I sat down, A++! It is available in 2 washes. I was a little puzzled by the hem though. I really like the unfinished look, but was unsure how you would go about hemming it. The sales gal told me that they had just had a meeting about this hem issue and she said you just have your tailor cut it. That made me kinda nervous, but I love the fit of the jean so much. These are on my wish list and I will be on the lookout for other styles from this vendor. Moth Octubre sweater, $98.00 HERE. I found this sweater to run true to size. Very comfortable and soft. I loved the longer sides and the length of this sweater. It was not so heavy, had nice flow to it and could easily be layered. Love the party in the back, such a fun easy throw on piece! 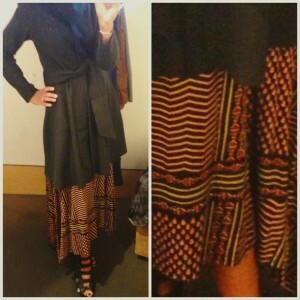 Tracy Reese Graphique maxi skirt, $128 HERE. 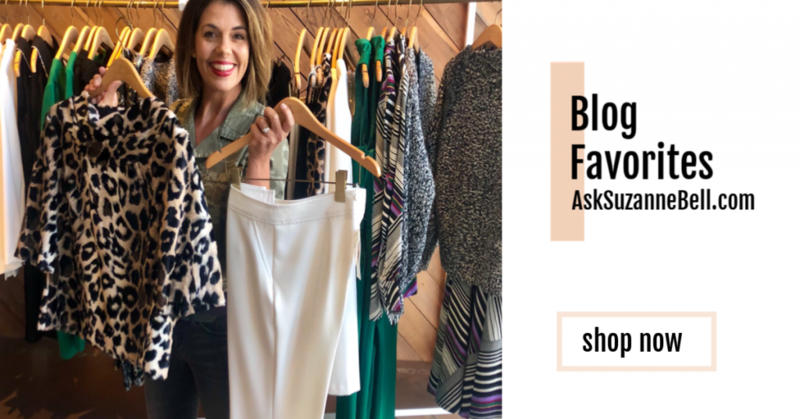 I live in maxi skirts and maxi dresses in the summertime so I am always on the lookout for comfortable pull on styles that I can wear in the colder months. 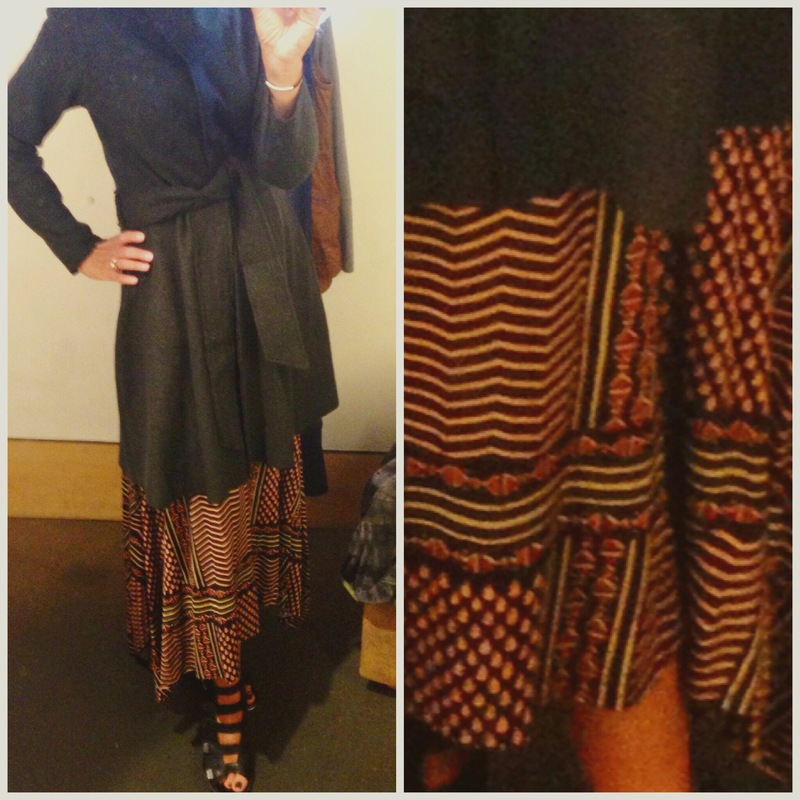 This skirt was pretty special to me. I love the colors and the cut. Even though it is a maxi, to me it was more a midi with longer sides. I like the length, I can wear it with boots or booties depending on the temperatures. I think this can be dressed up or down. 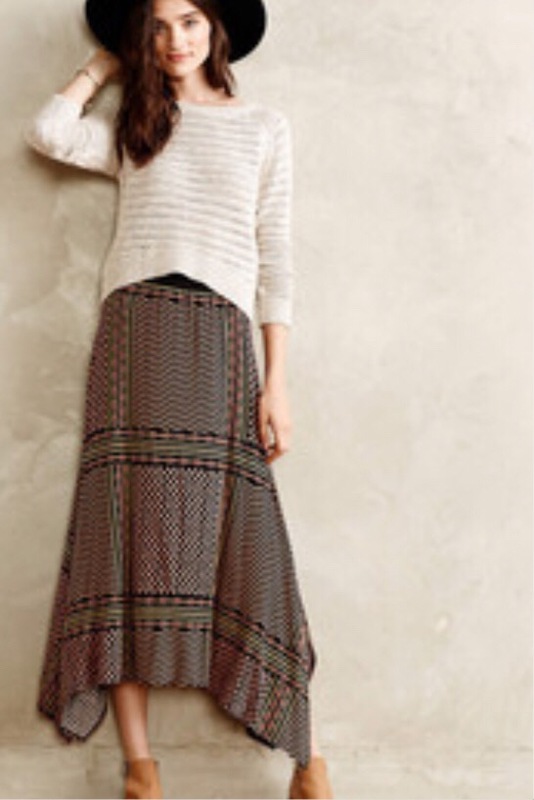 This skirt runs true to size, is a knit with an elastic waist so it is super comfortable. It is half lined. The length is longer on the sides than how it looks on the model. I did buy this skirt as I had plans to wear it with a black cashmere sweater, a leather top, a crop black top and more. Tabitha Leona wrap coat, $198 HERE. This is a fantastic coat and spot on trend! I love the bathrobe styling of this coat and the colors were amazing. If it had not been 95 degrees the day I tried it on, I probably would have left the store with it! I texted a girlfriend a photo from the dressing room and she loved it, said it was so different. It fit true to size, was soft not itchy. QUICK UPDATE HERE: I was back at Anthropologie and tried this item on again. In my opinion it runs a bit small. Small through the shoulders. The small fit me (my regular size) but in order to layer under the coat or drive comfortably I would size up to a medium. Keep this in mind if ordering. Best if you have the option to try this one on in a store. Also note, this sale just was marked down 50% so now it is under $100. Anthropologie is also, for a limited time offering an additional 25% off sale items which makes this a great deal if it works for you! 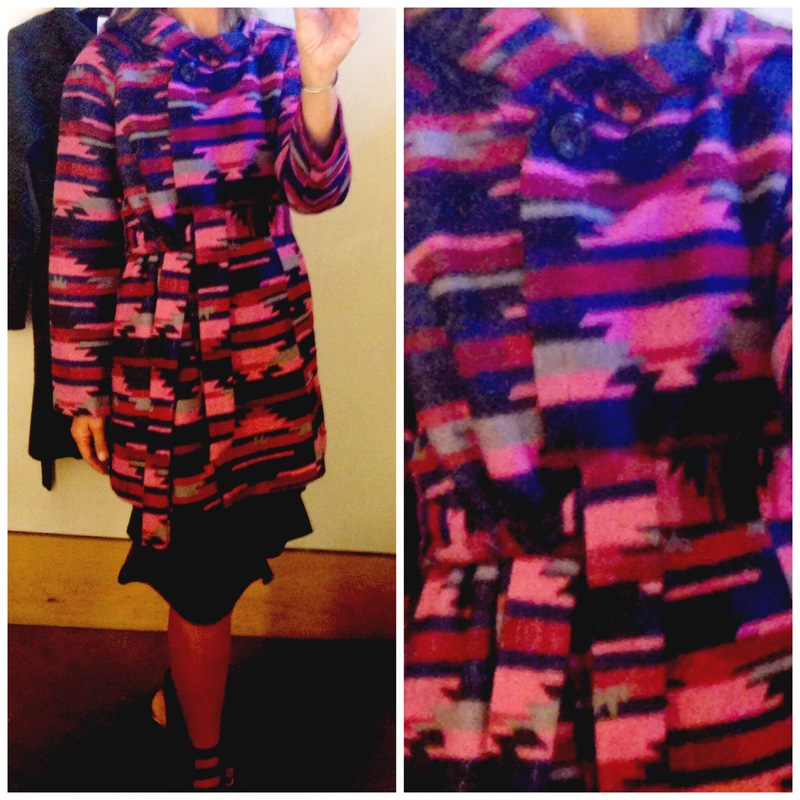 It is not that heavy and a nice layer piece for the colder months in warmer climates. 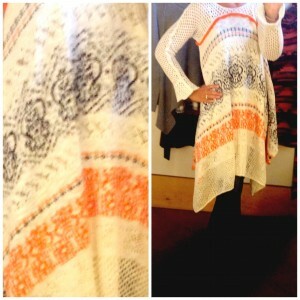 To me this is the type of piece I go to Anthropologie for! 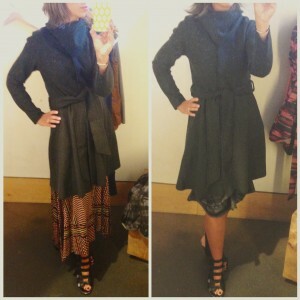 Sparrow shawled wool sweater coat, $198 HERE. This piece is what brought me into the store in the first place. I saw it in the latest Anthro catalog and had to check it out in person. It did not disappoint! My store only had moss green ( a super deep green/black color) , but it is available in ivory and black as well. I tried this on in my regular size and it fit like a glove. I would say this is more a sweater than a coat. It is thin like a sweater, but I like that. It is made of a boiled wool, but I did not find it itchy. 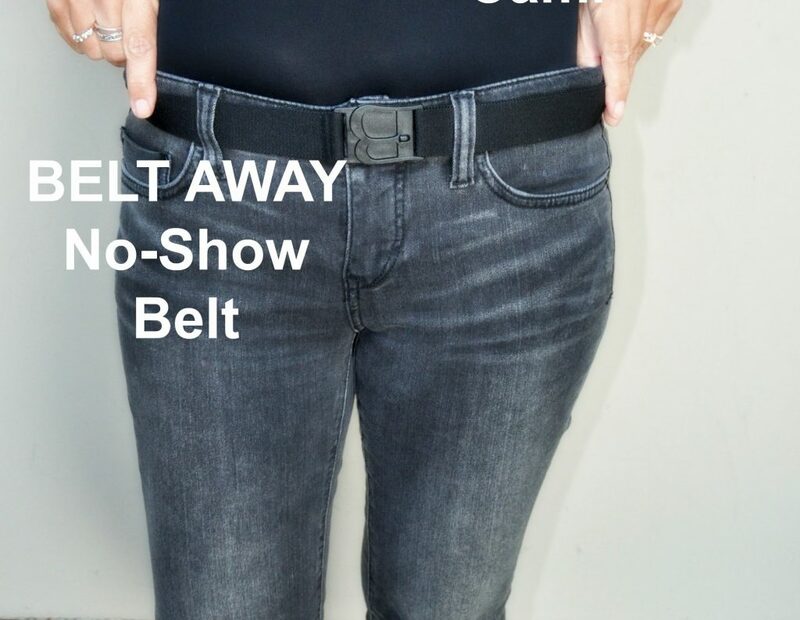 As you can see in the photo above you can wear the neck two ways depending on how you choose to snap it. It has some swing to it and is slightly fitted in the body. I plan to wear it with skirts, dresses and denim. One thing to mention is that it snaps and I found the snaps a bit delicate. I love it so much I will just have to be careful not to pull on the snaps too hard. I was worried it would not be around long because of it’s versatility, this piece came home with me in the moss color. Holding Horses Risen Sun sweater dress, $148 HERE. The colors of this dress are what grabbed me. As you can see in the photos, I thought it was a tunic or a poncho. When I looked back on my photos, I realized it is a short dress. It comes with an ivory slip that hit me too high on the thigh to be comfortable wearing it as the model is in the photo. I thought it was really short. I am 5’7 so perhaps if you are shorter you could pull it off as a dress. It is also very full. I think this piece would be cute with leggings and tall boots or booties for a cute boho look. If you are brave, perhaps with tights and boots or just booties. It is cotton, not itchy, lightweight and runs large. I did size down one size as it is quite roomy. Super fun if the style works for you! 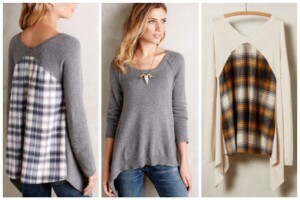 I thought the store was full of great pieces for fall and the new arrivals are just now showing up! If you get overwhelmed in the store here is my advice: relax and have some fun. Anthropologie invests a ton of time, money and energy creating a vibe and experience for the customer, take the time to enjoy it while you are visiting their fabulous store! Go in looking for something special and unique. The store is full of pieces that can make you smile and brighten your day! 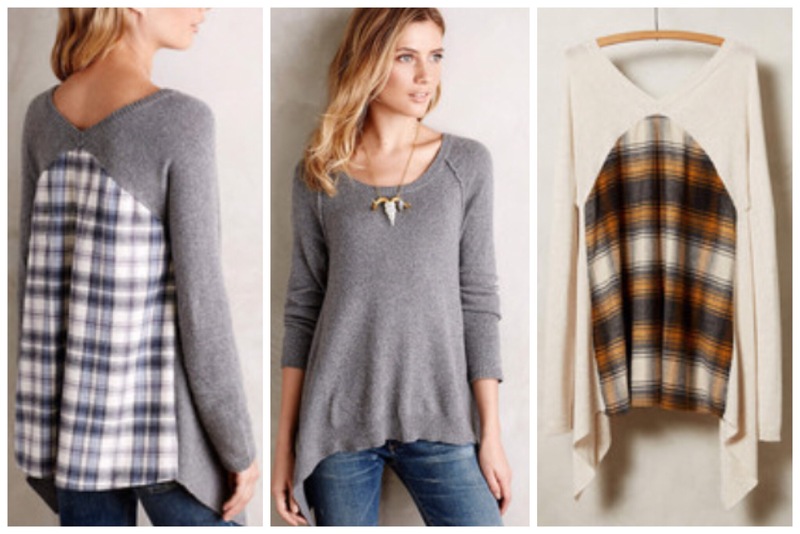 If you love sweaters, just look at the sweaters. Take your time. Bring a shopping buddy. Get your boho vibe going and take your time listening to the music, taking in the smell of the amazing candles, stop by their home section…just for fun! If it is all too overwhelming, most of the stores offer a complimentary personal shopper to guide you though the store. The ladies I have met so far have all been wonderful! I tried on that same grey sweater but it wasn’t my day for trying on clothes. Love that green sweater coat! 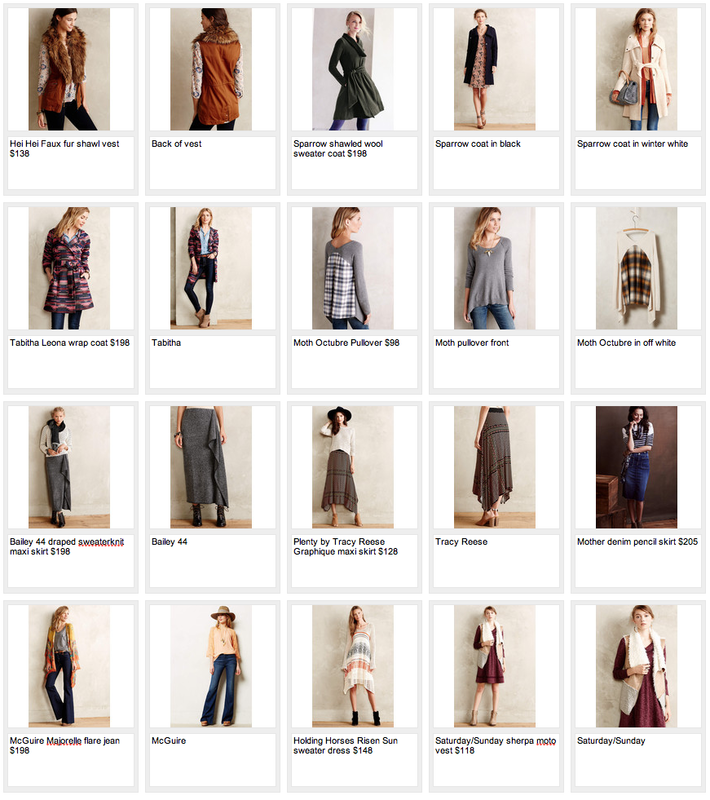 I can’t wait to get back to Anthropologie again to see what new sweaters come in for winter. That gray sweater would be so cute on you Jen! I bet in the next 2 weeks your store will be full of great sweaters! You are so lucky you can wear them. It is still so hot out this way! Well , the apple does not fall far from the tree !!! 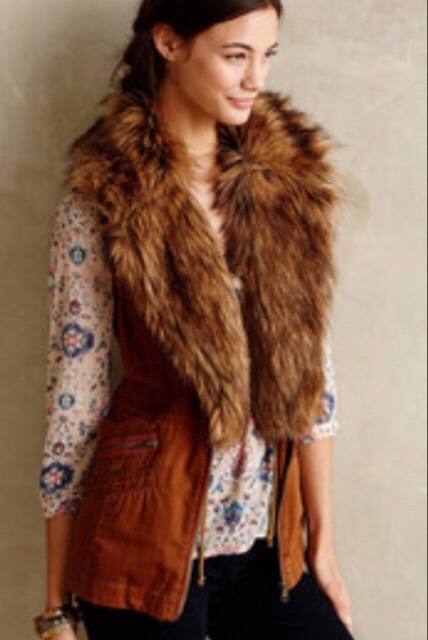 Faux fur is the go to fur for many generations of women in our family and nobody does faux fur like Anthro !!! Yes ! I have gotten lots of wear out of that vest already and there is no disputing the versatility and fun it is having with my knee high cognac riding boots. Faux riding boots since I don’t have a faux horse !